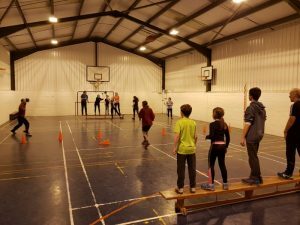 On Monday evenings we meet at South Charnwood School for a range of fitness, navigation and fun activities. On lighter evenings we go to various outdoor venues. This is open to both juniors and seniors. Details are on the Club Night page. When there is demand we can run short post-event sessions; half-day Saturday skills sessions; whole day training on more challenging terrain outside the county. Juniors, 12 and over, achieving Light Green standard are eligible to be nominated to the Squad by the Coaching Co-ordinator. The squad holds about six sessions a year including 3 to 5 weekends outside of the Regional and occasionally overseas. Activities are subsidised by the EMOA. Each year a couple of sessions are held in different part of the country/ region and occasionally a group from the club attends. 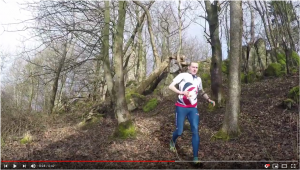 Get Up To Speed – An excellent collection of 5 minute videos covering key orienteering skills presented by the GB Team. Catching Features – A computer game of orienteering. You can even have online competitions with other orienteers. Routegadget – A website with maps from past events and the routes some people took. See the link at the top of the Results column. The step system builds the skills of orienteering sequentially and applies them to appropriate courses one step at a time. 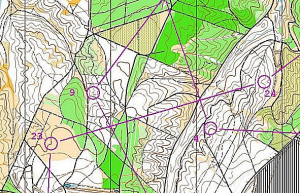 At each level, the orienteer should a) master the skills; b) apply techniques appropriately; c) adjust speed to deal with the technical difficulty; and e) use relocation techniques appropriate to the skill level. The skills are summarised below. Orientating the map to line features; understanding map colours and common symbols; holding the map with a thumb in place to maintain position; following line features (‘handrails’); making decisions at control points. Checking the map at significant points between controls (‘check points’); making decisions at handrail junctions; using catching features; judging distance by sight (e.g. half way between). Using rough compass directions and catching features on long legs and more precise bearings on short legs; judging distance by pacing; reading simple contour shapes; making route choices taking into account speed, distance and secure navigation. Navigating using contours only and interpreting complex contour detail; managing long legs with few distinct check points. 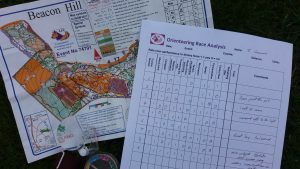 Race Analysis Form – A form for competitors to analyse a run leg-by-leg can be downloaded below in either pdf, doc or rtf format. Routines – for developing patterns of thinking and action that save time and improve concentration.